How did Rafael feel about Jane taking Mateo to church? 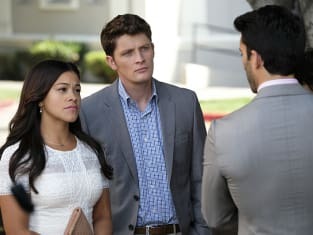 That was addressed on Jane the Virgin Season 3 Episode 7 when Rafel revealed he didn't want Mateo to go to church, but Jane went behind his back. Meanwhile on this sudsy CW drama, Jane's cousin begun to overstay her welcome, but who let her know? Also, Rafael remembered something that could be integral to get to the root of what was going on. Finally, Rogelio consulted with a matchmaker, but did he get the date of his dreams? Use the video above to watch Jane the Virgin online to get caught up with the latest drama.